I had intentionally avoided any early reviews or write ups about the previous dates on the tour so as to objectively give you the goods on Mr. Gillan’s performance in Los Angeles. Ok, as objectively as a card carrying fan of “the voice” can possibly be. The crowd was excellent for a mid-week concert in Los Angeles, the town where most people “show up to events in the third inning and leave in the seventh.” The House of Blues on Sunset is easily one of the premiere venues in the chain and the shoulder to shoulder crowd pressed forward to the stage from the get go. Going in intentionally blind, I had no preconceived notions of whom would be playing. 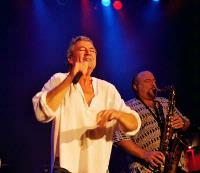 To my delight, the majority of the Gillan’s Inn band were the one’s sharing the stage with Gillan. The twin six-stringer attack of Michael Lee Jackson and Dean Howard, and bassist extraordinaire Rodney Appleby were joined by drummer Randy Cooke and keyboard and sax player Joe Mennonna. The band took the stage and launched directly into “No Laughing in Heaven,” joined within moments by the master of ceremonies. 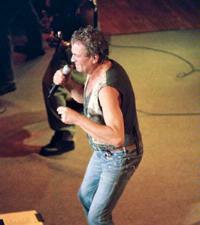 The man who has rocked the stages of the world for 40 years has never looked or sounded better. 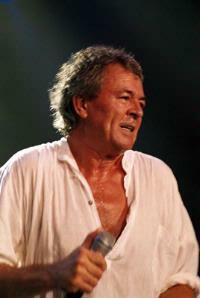 Whereas most of his contemporaries of the singing art have had to long hang up their vocal chords or rework their best known numbers into vastly different arrangements or add backing vocals to compensate, Ian Gillan’s pipes still resonate with the power they have for the past four decades. There were no breaks between numbers and we were treated to an infrequently played-live Purple classic, “Into the Fire.” There is easily no other performer who has as much fun on stage as Ian Gillan does. He appears to genuinely love what he is doing. Not many could feel as comfortable in front of the world’s audiences as to be able to perform barefoot and in loose, nearly-pajama like outfits. Next up “Hang Me Out to Dry” from Gillan’s Inn exploded from the speakers, followed by a new number from guitarist Michael Lee Jackson called “Have Love Will Travel” that would not sound out of place on Ian’s own recordings. The highlight for this Gillan/Purple fan came next in the form of two rarely played songs from Perfect Strangers rocking back to back. The blues-tinged “Wasted Sunsets” and CD bonus-track “Not Responsible” were delights to hear played live and the audience obviously agreed. A quick story involving a massive amount of alcohol preceded the next number, “No Worries” which gave way to a monster performance of “Unchain Your Brain.” The thunderous sound emanating from the cabinets surely did unchain a few bits of grey matter. 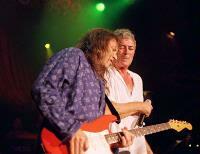 “Bluesy Blue Sea” came next, which sounded even better live than it does on Gillan’s Inn. Michael Lee Jackson and Dean Howard are forces to be reckoned with as guitar players. This was further demonstrated with performances of “Sugar Plum,” “When a Blind Man Cries” and “Men of War.” We were also treated to another new number from Michael Lee Jackson’s album called “Texas State of Mind” which Mr. Gillan threatened repeatedly to steal for himself. 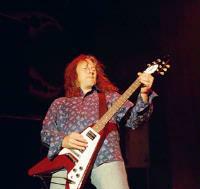 Deep Purple producer Michael Bradford joined the band on stage three times, including during the instrumental jam portion of the show. Another guest star in the audience I spotted well before he took the stage was Ronnie James Dio. Taking the stage for the mandatory encore of “Smoke on the Water,” Mr. Dio is also graced with similar multi-decade stamina that has kept his singing right where it has always been. The show closed out with what is arguably the “Smoke” of 80’s-era-comeback Deep Purple, “Knocking at Your Back Door.” To say this traveling “pub band” blew the audience away was an understatement. Night two was in Anaheim, California - a vastly different crowd. It was a smaller venue, which is not a bad thing. Personally, the DownTown Disney House of Blues is my favorite place to see a small show. It has great acoustics, with not a bad place to stand and they always start on time. The crowd was even more fan oriented than the previous night. A mid-week LA gig is going to feature lots of industry types, but get out of Tinsel Town and the demographics shift immeasurably. The set list was the same, but there was one, unmistakable difference from the previous night. Where Ian Gillan had been welcoming fans to bring cameras to document this tour for the web, I was refused to bring my personal digital camera in by the very nice young lady who patted me down at the entrance. When I asked why she told me it was at the request of the band “who were filming the show tonight for a DVD.” I am quoting her directly on that one. She wasn’t kidding either. I spotted no less than seven cameras including one on a mini-jib (the kind that swoop over the crowd). Cross your fingers this does make it to DVD. Listen for the full-on idiot in the crowd who shouts “dang!” at the top of his lungs when the bikini-clad hottie who carried out song titles on cards like a ring girl at a boxing match made her first appearance on the stage. That would be me. If this show or any others on the tour were documented, I will go on record right now and say you simply must get that disc to share in the sheer enjoyment Ian Gillan has in performing for you. 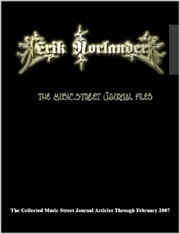 Editor's Note - The pictures accompanying this article were actually shot at the Chicago show.